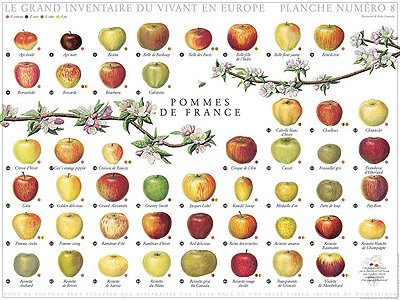 These French charts, available through The French General Store (an American company selling imported French goods) take regular nature charts, which are already cool in their own right, and they make them even cooler...because they're French! 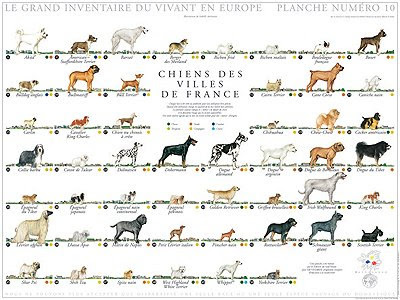 In addition to the trees, apples, city dogs, and potatoes pictured here, the store also offers charts of cats, goats, pigs, chickens, horses, sheep, seafood, grains, and country dogs. Prices are a little more than you might ordinarily expect to pay for prints ($40-$50 plus shipping), but hey, they're imported from France! 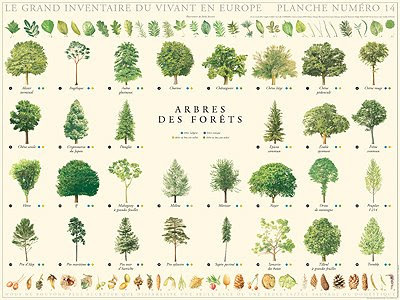 I love this tree chart. When it comes down to it, what's not to love about trees? And this potato chart is fun & silly. 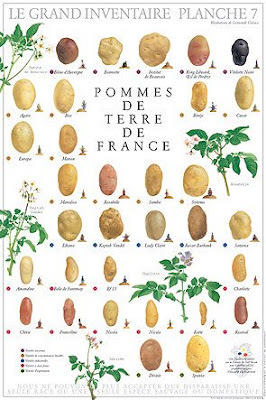 Hang a French potato chart in your kitchen and you'll have an instant conversation piece. Ooh la la!